Summary TUBELIGHT is a Hindi language war drama in which a man believes he can stop the Sino-Indian war in order to bring his brother home. 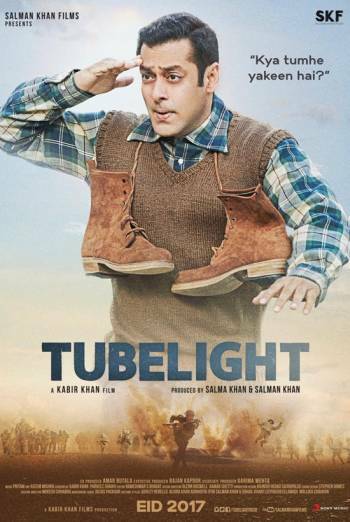 TUBELIGHT is a Hindi language war drama in which a man believes he can stop the Sino-Indian war in order to bring his brother home. Moderate battle violence includes explosions which knock soldiers to the ground, and undetailed shootings. There is also occasional bloody injury detail, for example in a scene which shows that a man has been beaten up by a villager. There are uses of mild bad language ('haramzada', 'saala'), and very mild terms including 'damn' and 'moron'.